StillPoint Myofascial Release is distinctive in many ways; one of which is our unique structure. 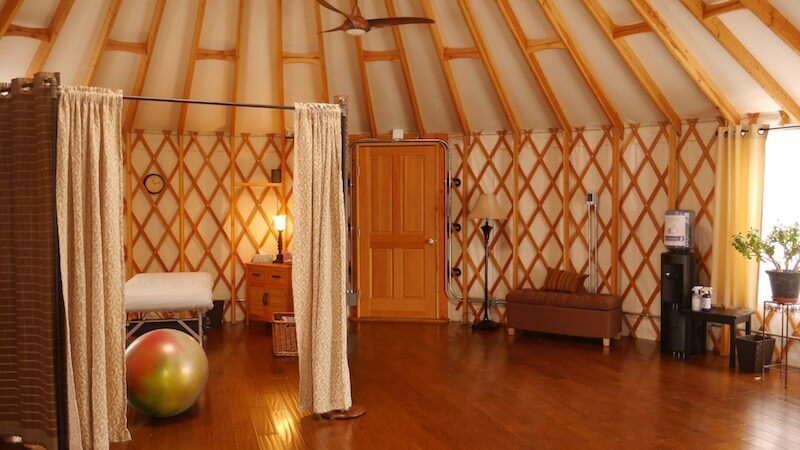 When you arrive at StillPoint for a one-on-one session or a Group Therapy class, you will immediately exhale when you walk through the doors of our Yurt. You can find us at 221 Middle Road in Cumberland, Maine. Conveniently located near Route One, StillPoint MFR is easily accessible from I-295. We're a short drive from Portland, Maine and much of Southern and MidCoast Maine. Take I-295 North to Exit 10- Bucknam Road/ Falmouth. Make a LEFT off the exit onto Bucknam Road. Make a LEFT onto Route 1 North. Follow Route 1 for approximately 3.4 miles. Make a RIGHT off Route 1 towards Tuttle Road. Make a RIGHT onto Tuttle Road. Take the first RIGHT, at the blinking light, onto Middle Road. 221 Middle Road will be .6 miles on your RIGHT. Take I-295 South to Exit 17 – Yarmouth. Merge onto Route 1 for approximately 1.5 miles. Make a RIGHT onto Portland Street. Follow for 2 miles. It will turn into Middle Road. 221 Middle Road will be on the LEFT. Follow 115 East towards Yarmouth. As you get into Yarmouth, make a RIGHT at the intersection onto West Elm Street. Follow West Elm until it ends. Continue RIGHT onto Middle Road. Follow for less than 1 mile. 221 Middle Road will be on the LEFT. A yurt is a round, dome, tent-like, tensegrity structure. Its roots go back to ancient mongolian architecture. But at StillPoint MFR, our yurt covers all of the modern amenities you need to be comfortable. Whether it is the privacy of a one-on-one treatment or the collective environment of a Group Therapy session, the Yurt has proven able to handle the needs of deep and profound healing! The StillPoint MFR Yurt was raised in 2015 after many false starts and big dreams. Initially this type of structure was something I knew little about. 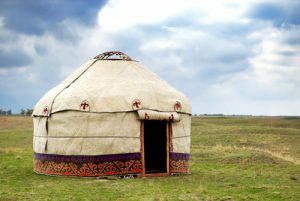 When I discovered the many architectural similarities between a yurt and the fascial system, I KNEW it was meant to be! The StillPoint Yurt was manufactured by Rainier Yurts in Washington State. Through much research and homework trying to figure out ‘how will this ever work?’, I developed a trusting relationship with the folks at Rainier. (If you ever call Rainier for your own yurt curiosities, talk with Dana Hendel and tell her I sent you). 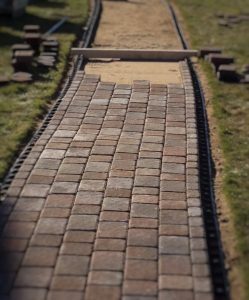 I gathered information and patiently had my questions for over 3 years before I was able to commit to the project. While I talked with several other big name and local yurt companies, none compared to the quality of a Rainier. I figured if I was going to be running a year-round business out of a yurt, IN MAINE, quality was not up for negotiation. The StillPoint Yurt is 30’ in diameter, which is approximately 720 sq ft. It is heated with a natural gas Rainni unit and has electric heat in the floor. A modern bathroom is attached to the yurt and has year-round running water and heat. The process of learning about and building the yurt was one of great patience and growth. The people who I met along the way, ‘yurt people’, were so inspiring and helpful with their own experiences and information. I LOVE talking yurts! So if you are curious, have questions, or own a yurt of your own, let’s chat!